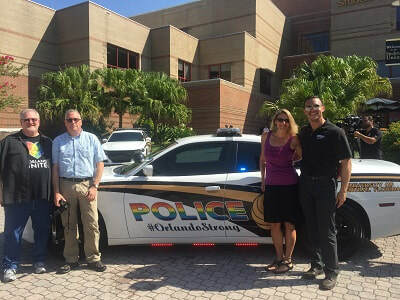 The PRIDE Faculty Association at UCF, Inc. is a professional organization at the University of Central Florida and is registered as a non-profit organization with the Florida Secretary of State. We are an organization for faculty and staff whose focus is on making the University of Central Florida a better place for our every person. We are committed to all of UCF's goals with primary focus on goal 4, to make UCF a more inclusive and diverse campus. Great strides have been made over the past 50 years and we expect even greater accomplishments in the next 50 years. We have the privilege of benefiting from the work of those who have fought for inclusion and diversity at UCF for many years, and we commit to building on that foundation for those who follow us. Many members of PFSA are actively involved in the LBGTQ+ community on campus and throughout Central Florida. We are proud to represent UCF in many organizations and groups. We serve in a variety of volunteer positions on numerous boards of directors offering our guidance and leadership to the greater community. We are proud of the student-activists on our campus and of the graduate-activists who are working to change our state and nation.